Wisdom of Life. : Severe accident can happen in the house. Home is the safest place, could be the most dangerous place. I had many clients who had made countless domestic accidental claims but the most critical one was the recent incident which led to an unexpected death. Saw was only 38 years young, single and staying alone. Last Saturday, he had a nasty fall while taking his evening bath. He slipped and hit his head first. Thinking it was a minor fall, he didn't consult any medical advice. Later of the nite, he vomited and was bleeding through his nose, when he called his brother's assistance to admit him to the nearest hospital. 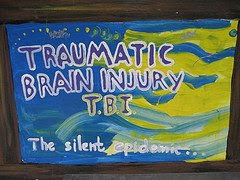 In the emergency ward, he was diagnosed with a traumatic brain injury which required an immediate operation to save him. His left brain was clotted which might cause him permanent disability later. In coma he suffered another stroke on his right brain which needed another surgery to stabilize him. His medical charges were increasing while he was attended in the intensive care unit. His brother and parents were sad and worried while waiting. Yesterday I contacted his brother who text this message to me; "Still alive but pulse down to 26. Anticipate will pass away by today". Saw passed away peacefully this early morning at 3.25 am without gaining conscious. I was shocked and sad. I could not believe a fall in the bathroom could cause a death to such a young person. Yes! The most safest place in our house could be the most dangerous place too. Reminder again - "Buy insurance when you don't need it, coz when you need it, you can't buy". This is so sad, I wish Saw's family all my prayers while going through this. This makes me think a lot about being single. I worry that one day I may just do something in my home and no one would know. So be extra careful when you are alone in the house...anything can happen. This is the second time I heard of such case. The first one was more than 10 years ago and he was about 33 years old. Also falled in the bathroom while taking his bath in the morning and only be noticed by his brother in the evening. Anyhow, it's too late already. He's dead! I am glad you are back here to see me in action. Be careful when you are at home, if you intend to make love in the bathroom, make sure you hold him tight. Anything can happen! Would like to see you more often. Thank you for coming by.